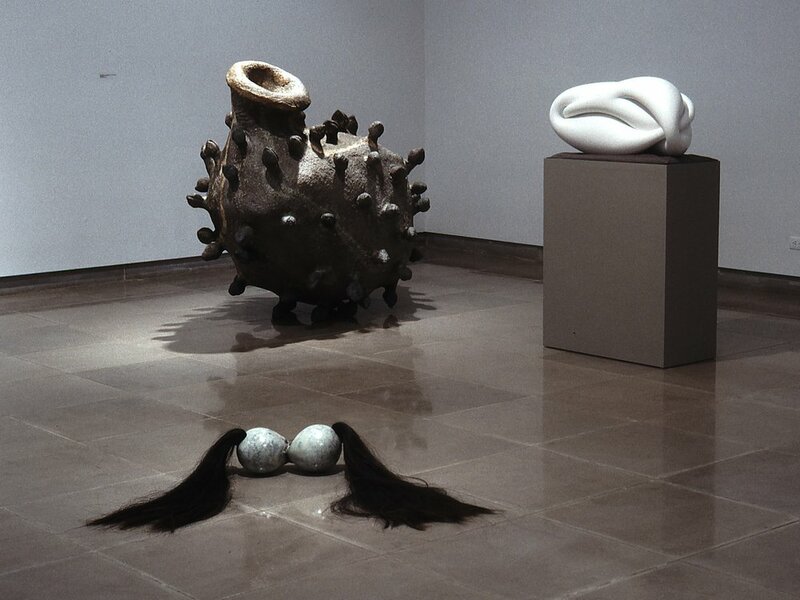 Seductive Matter is an exhibition of 37 sculptures by 11 contemporary artists. The guest curator of Seductive Matter is Suzanne Ramljak, art historian and editor of Sculpture magazine. Both seduction and education entail manipulation. Both seek to change our behavior, persuading and cajoling us into greater receptivity. The medium of sculpture is uniquely qualified to seduce; its inherent physicality makes a direct appeal to the flesh. While all sculpture addresses the body to some degree, the works in Seductive Matter are designed to engage, enlisting a range of seductive strategies. A new video work by Alain Favre, Clin d’Oeil, is also being screened. 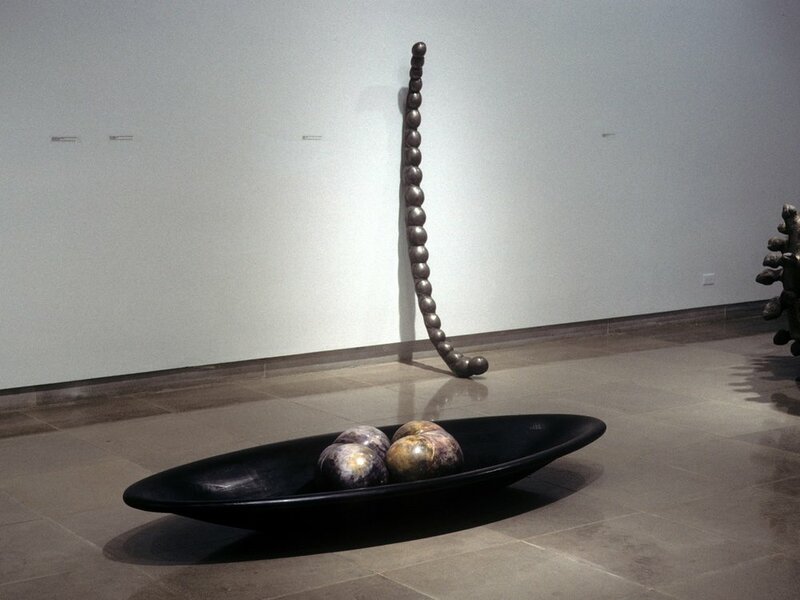 An article, “The Art of Seduction,” which develops the exhibition theme in greater detail appears in the September/October 1995 issue of Sculpture magazine. Artists represented in Seductive Matter live and work throughout the United States. They include: Phoebe Adams, Patricia Anderson, Nancy Bowen, Jackie Brookner, Saint Clair Cemin, Alyssa Dee Krauss, Heidi Lasher-Oakes, Ross Rudel, Carole Seborovski, Carol Shuford, and Charles Simonds.